The Hideout brand is one of Keystone RV’s most trusted and beloved brands because of its dedication to excellence in the little things. 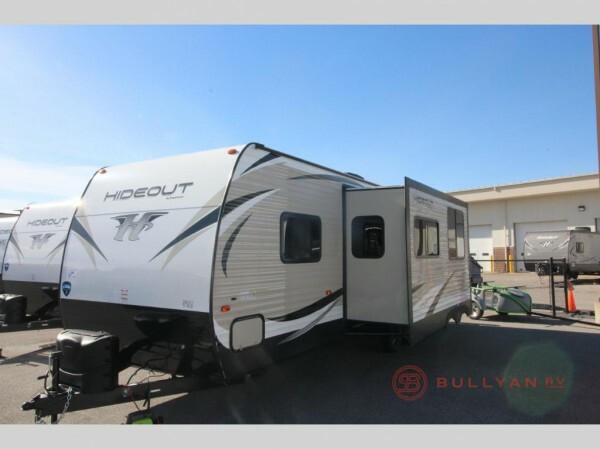 Here at Bullyan RV, we are proud to carry a wide variety of fantastic Keystone Hideout travel trailers for sale at affordable prices, and also ensure that we provide you with the absolute top models of that brand, including the 27DBS travel trailer. If you want to find out what makes models like the Hideout 27DBS so special, you need look no further than our Keystone Hideout travel trailer review! The inside is for luxury, the outside of for safety and durability. Of course, that doesn’t mean that the outside can’t have a few luxury features as well, like the exterior speakers as well as the exterior television and cable hook-up. This plus a chambered chassis and a fully-walkable roof means that maintenance and care is easier than ever! Both luxury and ease of use come with this model! Check out some of our other favorite features that you can find on the exterior of the Hideout! 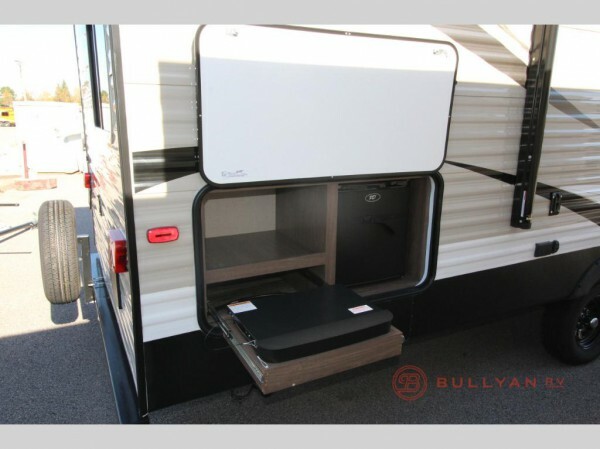 More features with the Keystone Hideout 27DBS Exterior. 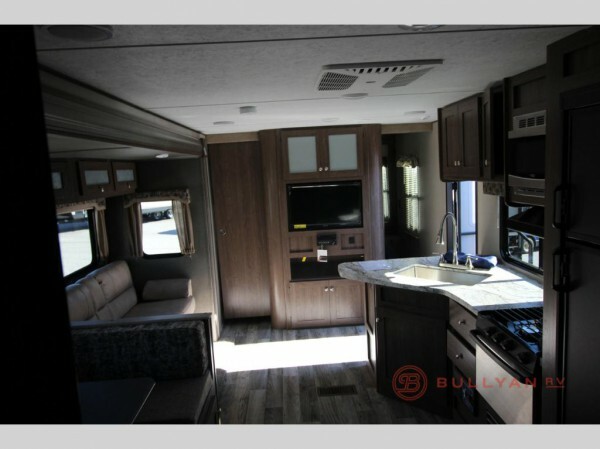 There is a lot to get excited about when it comes to the Keystone Hideout 27DBS travel trailer for sale here at Bullyan RV! We are proud to carry a wide variety of other Hideout floorplans that we are certain that you will love, so check out more of them to see everything that we have to offer! If you have any questions about this or any of our other models, you can also contact us today! We can’t wait to help get you into the RV of your dreams!